It’s required by law to have all fire equipment serviced regularly. By doing so, it gives you peace of mind because you never know when you will need it to save lives. So it is critical to ensure that it is ready to perform in the event of an emergency. Fire services are required to be inspected and tested on a regular basis, dependent upon the equipment installed within your property, in accordance with the AS1851 maintenance schedule. Most properties require at least 2 inspections per year, once every 6 months. The Biannual (6 monthly) inspection does not require a certificate for Council, but is a required inspection under the Australian Standards as it forms part of the whole annual certification process. 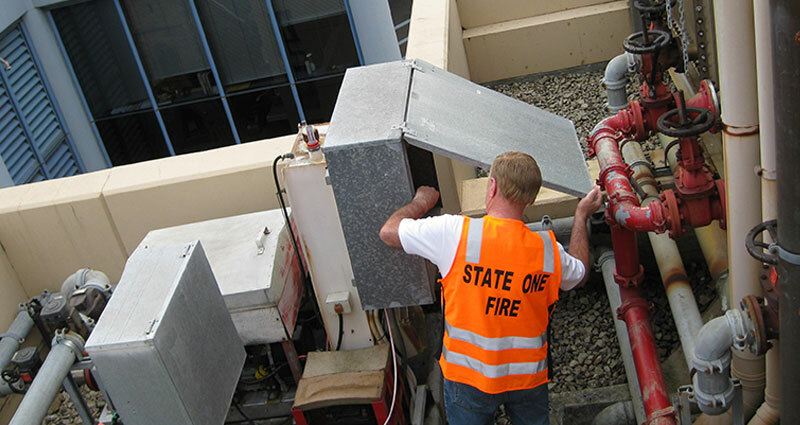 State One Fire offer a competitive quote for a full inspection, testing and maintenance service for any property (ie, Factory, Commercial and Residential) that requires certification. All our technicians are qualified tradesmen who can regularly test and audit your system and equipment to ensure it is in full working order and that it complies with all regional industry standards and government regulations. We keep maintenance records and complete necessary compliance reports. This will enable us to provide an Annual Fire Safety Statement, which is enforced by Council and the NSW Fire Brigade.